Emma, Jack, smiles and a thank you! 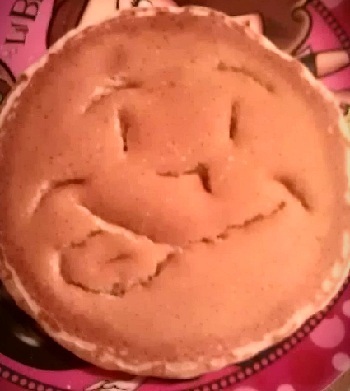 I made pancakes for breakfast and Emma felt the need to share a smile with hers! I apologize for the delay in having more posts by Emma and Jack, but each has been very busy in their world of creativity. 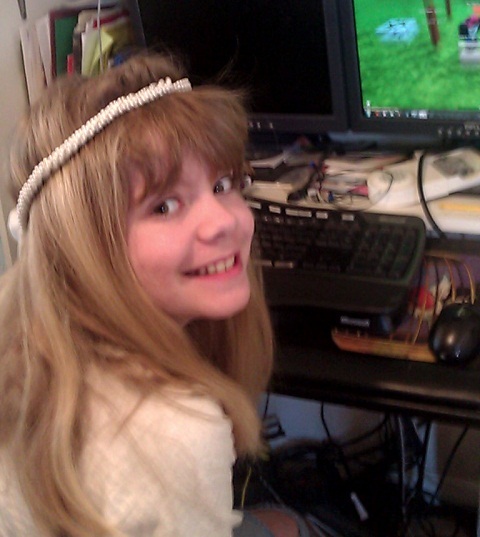 As for what’s been keeping Emma’s creativity muse busy, She has been learning how to make short movies uploaded from her DSI flipnotes – cartoon clips, she creates with her own original characters! And doing tons of sketches and taking more creative photographs! Jack sends a smile with his legos. 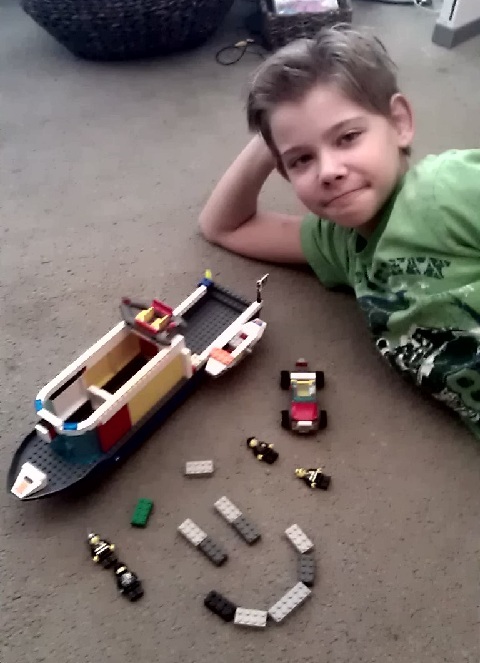 He has been alternating his creative muse by learning and understanding why the Titanic sunk (and how) by recreating the event with his legos and bathtub water, also he’s been learning to make short movies while creating “stop motion” action with his lego characters. While they still feel the loss of their daddy, (and then she waited), they are happy and healing well as both stay creatively busy when not learning or playing with other children in their neighborhood. ThANK YOU for being loving and caring online to both Jack and Emma, through your comments and emails. They do read and appreciate them very much! ← A new word for bloggers – Melafluidity! 🙂 – a big one for all five of you! It’s great to have your own safe space – regardless of age. I am sure you will get beyond those “bugs”, soon and looking forward to see Jack’s stop motion pictures and Emma’s animations. Sending much love to you all and “Hi” back to Jack! I came back to read the story you linked to titled and then she waited. What I love about this post, other than it’s from your heart, is that your daughter and grandchildren are strong and very loving. I have been following your daughters blog for months now, and did not know you were her mother. Like her, I never wrote poetry until I started blogging. While reading your stroy, I thought, this sounds similar to another blog I follow. Horrible and cruel events that are unnecessary. I got all teary eyed reading your post because I was supporting your daughter and didn’t even know it! How happy it makes me to know that you are surrounded by strength and love everyday. The kids are cute as ever, creative as ever and as I re-read your posts, the light of love that I needed, filled my heart. Thank you for sharing this story and for bringing the much needed smiles of awesome children into our lives. May your family continute to stay strong and blessed. Wow! You are an amazing mother and grandmother. A great big hug! Emma and Jack are two lovely lovely kids…. look at their smiles. Jack reminds me of my own son when he was that age and how he too was fascinated by sinking ships in the bathtub (I put my foot down when he wanted to teach frogs how to swim in the bathtub!). Emma looks like an angel who stayed behind to make the Earth a more beautiful place and the smile on the pancake is priceless. Take care! Thanks Padmini, both I and their mom are very proud of them and their creative talents, but mostly because they are sweet, gentle warm and loving young people! Thank you bulldog. I agree 1000%. Having a Mother who is present in mind and spirit and support is very important. 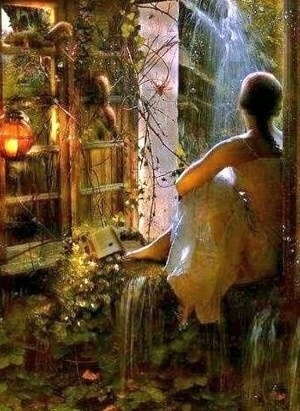 It is hard when you are grieving yourself to complete this part of living, but you seem to have that balance. Hugs to you all! Wishing you continued strength. Penny – you have a wonderful family! I see your face in your grandkids! 🙂 Nice to see you Emma & Jack. Jack and Emma say a special hello to their friend in Scotland, AnElephantCant, and thank you for his poem to them! They loved it! Have a good day both of you. Thanks Penny for allowing them to hijack your blog. Happy to know they are doing well! We will all be here for you 🙂 hugs!